This voucher is good for a wine tour in the beautiful Leavenworth valley. 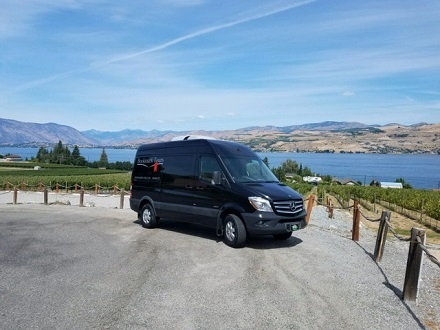 Up to four people can use this half price deal to tour these Leavenworth wineries in style with Bookmark Tours. If you have more that want to join you, they can add-on for additional cost up to 8 total. You will have ample time to enjoy each winery, taste, purchase, and have a great time with friends or family. EAGLE CREEK WINERY.....Nestling in the foothills of the Cascade Mountains from they're award winning Chenin Blanc to they're Tre Dei Cinque. BOUDREAUX CELLARS....Is one of the most unique wineries in the state with Rob Newsome at the helm its guaranteed to be a favorite of yours. WEDGE MOUNTAIN WINERIES......Exudes Passion for wine, enjoy your wine in the underground cave or outdoors in the orchard garden. SILVARA.....Next to a wild flower carpeted hillside overlooking the Wenatchee River Valley, Silvara offers award winning wines to delight your pallet. 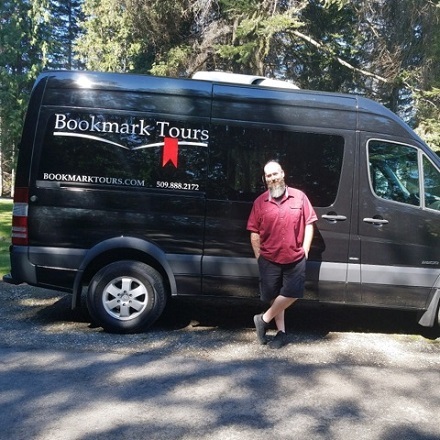 Bookmark Tours-They aren't just a normal tour company. They offer experiences and journeys to some of the top attractions to see in Washington State. They always say," Don't live life, experience it!" They are a fun loving group who love the outdoors. Hiking, camping, boating, and let's not forget to mention our award winning wineries in our region we can visit. 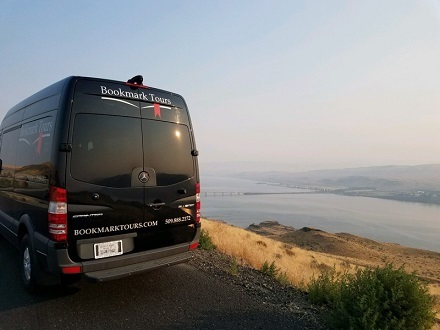 It's our goal to get folks out of their comfy chair, take a deep breath of fresh air and GO do something with us here at Bookmark Tours! They'd love to meet you and share in the journey no matter how long or short of time...See you soon! Voucher good for up to four person half day tasting tour. Schedule/reserve at minimum of 1-2 weeks in advance. Subject to availability. Tasting fees vary and are not included. Additional seats available at $75 per person at time of reservation. Designated pick up/drop off point.